It seems that I'm getting a new pair of running shoes every year now. I bought my first pair of GTX last April and I bought a new pair a couple of weeks ago - I went with the GTX again. 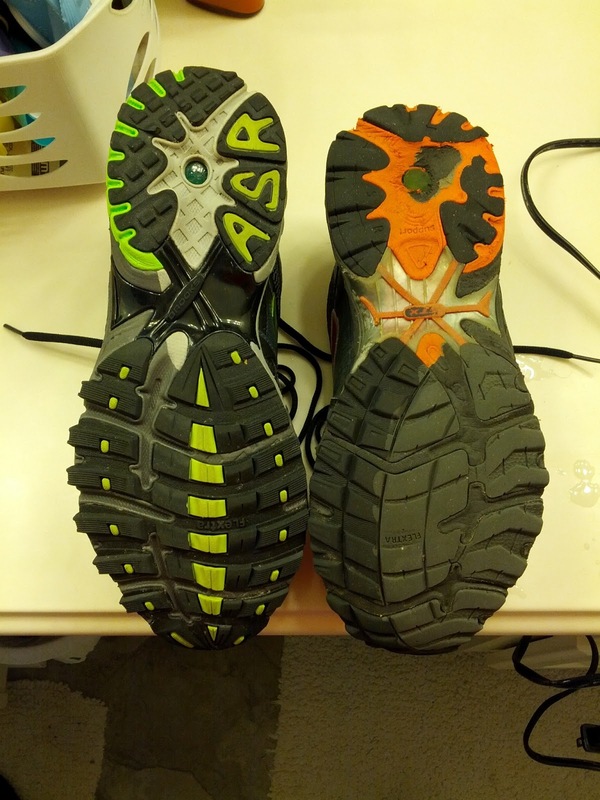 It's always amazing the feel the difference between the feel of an old shoe and a new shoe. The new pair feel as light as a feather and are very comfortable. These days, I walk 4 miles every morning with my wife. We usually can get up and walk for an hour every Monday, Tuesday, Wednesday and Thursday. When our schedule allows, we are able to get 4 miles in on a Saturday and / or Sunday. Other days, when I'm feeling really good, I'll run 4 miles ... I'll run at a very good clip for 60 seconds, then walk for 60 seconds. One final word about the shoes ... I was a bit disappointed that they only had one option for 'color'. I'm not a huge fan of the green accents. I liked the orangish-red accents from last year's model. I am glad they keep them in black ... I don't like white running shoes.